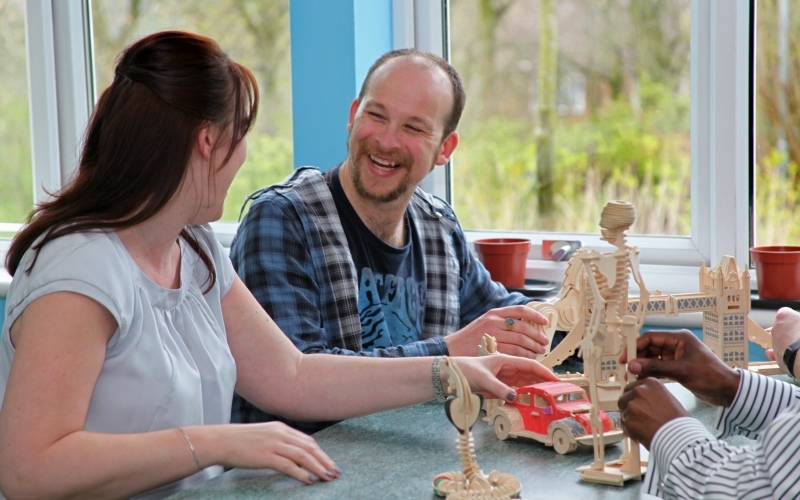 Branwell Ward is an open acute service that can support up to 19 men in a therapeutic and calming setting. The service is an emergency admission ward that aims to work with service users with a broad range of mental health problems. The team works closely and collaboratively with service users, their family and the referrer to provide a seamless pathway from referral to discharge. Branwell Ward accepts referrals for service users whether informal or detained under the Mental Health Act. The service is not risk averse and has a willingness to accept referrals which may be challenging and can work successfully with individuals who experience a higher level of complexity and challenge, posing a risk to themselves or others. This is possible as both Branwell Ward and our PICU service on Austen Ward work closely together in order to assess and manage risk factors. Branwell Ward’s ethos is about caring for our service users and treating people in the least restrictive environment. A range of interventions are utilised including a mental and physical health assessment, risk assessment, care planning using the My Shared Pathway approach, medication review, medication-free assessments and health management strategies to prevent relapse. A range of group and psychological therapies including, cognitive behaviour therapy and substance misuse treatment, are available. These are facilitated by our full multi-disciplinary team which includes a consultant psychiatrist with specialist interest in acute, a specialty doctor, nurses, occupational therapist, therapy assistant, art and music therapy, substance misuse practitioner, forensic/clinical psychologist and assistant psychologist. The ward offers a psychoeducation programme to help service users better understand their illness. Workshops and support are offered to help service users cope with everyday tasks after they leave the hospital. Group work includes anger management and problem solving. One to one therapy is also available on a regular basis. Many service users referred to Branwell Ward have dual-diagnosis of mental health illness and substance misuse, including legal highs. We are specialists in substance misuse assessment and support. There are two substance misuse practitioners and two nursing assistants identified on each ward to work with those affected by addiction.